Bitcoin Safe Investment is supposed to be platform that will allow you to make money thanks to trading activities of people who run it. There are three investment plans with up to 600% returns after 7 days. This means 85% per day and 2571% per month. Really? Let us put it straight, no legitimate business in this world can make you 85% per day, it is straight impossible. It certainly is not possible in cryptocurrencies trading. This leaves us with only one possibility, namely that Bitcoin Safe Investment is a scam. It is obvious that it has been designed as a Ponzi scheme. It means that money is collected from people and some of it might be redistributed via withdrawals. How long, or if at all this program will pay something to its users, depends on how much money people deposit. In the end these schemes always collapse very quickly, so it is better not to put money into them. 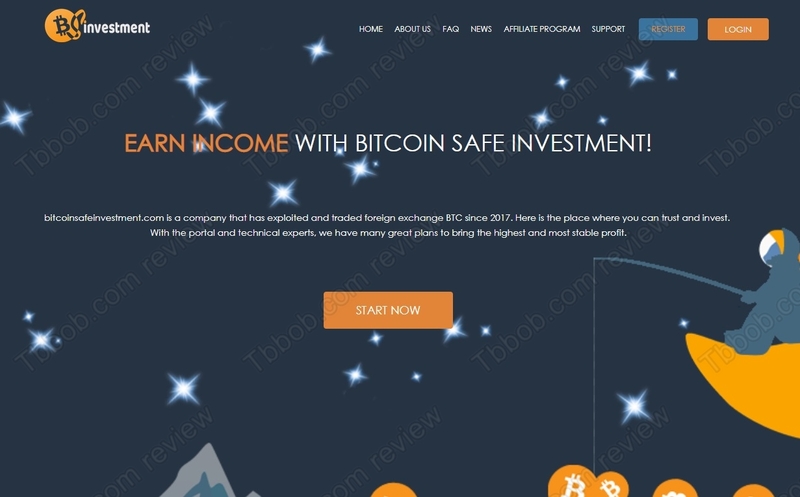 Bitcoin Safe Investment is a company that is registered in the UK, but the registration is only a few days old and it says nothing about the legitimacy of the business. The important thing is that Bitcoin Safe Investment is not authorized by the Financial Conduct Authority to provide investment services, so it is an illegal offer. Bitcoin Safe Investment is a scam that will very quickly collapse and take down some serious money. Stay away from it! If you are interested in genuine bitcoin trading, try a free demo with a regulated broker to see how it works and if you are able to learn to trade profitable. Don’t switch to real money trading until you have a solid strategy and an understanding of the risks. Hi, i spend some Money there. I‘m new in this cryptoworld. Now i can’t Open The side. Can i make something? Or Is all my invest Lost? If you made your deposti with a credit / debit card, ask your bank for a chargeback.